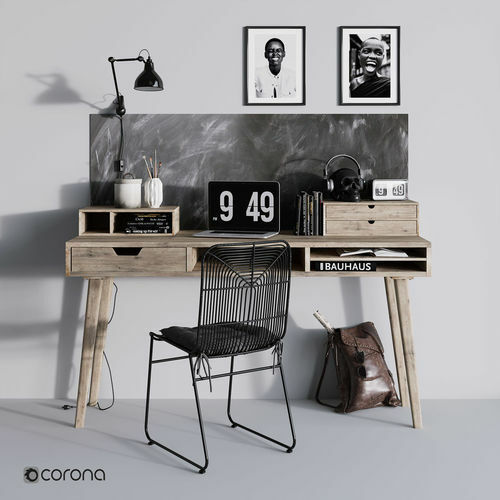 Archive contains 3d max + FBX + OBJ + textures The "Work Desk" set consists of a lamp, photo frames, books, table trifles, Apple MacBook, headphones, a skull, a clock, a chair with a pillow, a table, a chalk board, a backpack, brushes for painting. Ideal for the interior of the office, workplace, bedroom or baby room. Finished with 3d max + Zbrush + Amazing design. Good renders to you!